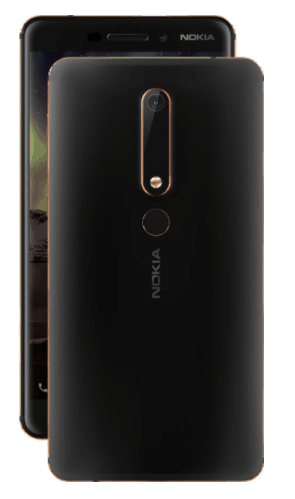 Nokia 6 2018 is the successor of last year’s Nokia 6 that has been launched in China and it is quite likely to launch in India as well.Nokia 6 2018 is an upgraded version of Nokia 6 first generation with a major upgrade in form of the processor unit from Snapdragon 430 to Snapdragon 630. The device is powered by a new Snapdragon 630 processor that is power efficient coupled with 4 GB DDR4 Ram.USB Type-C Charges the device to 50% in just 30 minutes. It sports a 5.5-inch IPS display with a full-HD (1080×1920 pixels) resolution and 16:9 aspect ratio covered by a corning gorilla glass, they have implemented on-screen navigation button to get a feel closer to stock android, They have ditched front fingerprint reader and placed it on the back but to the surprise there is not an 18:9 display that was one of the major reason to ditch the front fingerprint sensor. There is a 16-MP rear camera sensor with a dual-tone LED flash and PDAF lens that has f/2.0 aperture. an 8-MP front selfie shooter with a f/2.0 aperture with an 84-degree wide-angle lens.Other feature includes a Dual-view mode front and rear camera in which you can use the 16-MP rear camera and 8-MP front camera for simultaneous photo and video shooting. The smartphone has FM radio, 4G VoLTE, Wi-Fi 802.11 a/b/g/n, Bluetooth v5, GPS/ A-GPS, USB Type-C, and 3.5mm audio jack. A 3000 mah battery power the device and that can be charged to 50% in just 30 minutes. 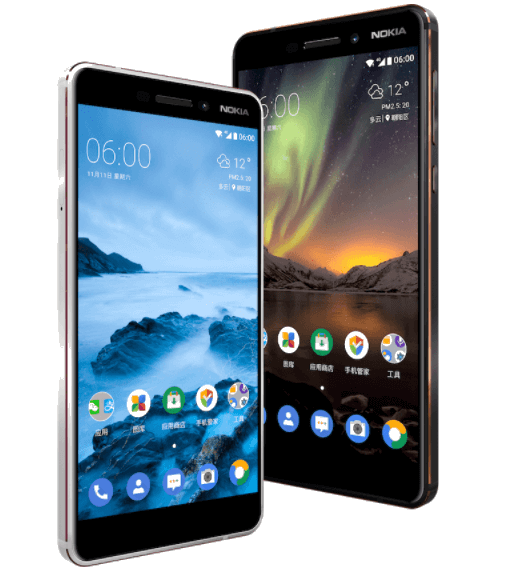 It is running on Android 7.1.1 Nougat out of the box and expected to receive Android Oreo soon as Nokia’s policy on providing updates has been very actionable. The build quality of the device is top-notch as it is using 6000 series of one-piece body aluminum. There is no word on global rollout but it might launch in India anytime soon.The device is launched for 1,499 yuan and 1,699 yuan for 32 and 64 GB respectively. The smartphone will be available in two color options – Black and Silver. The bookings are already open and the sale of Nokia 6 2018 will begin from 10 January 2018.